WASHINGTON, D.C. – House Budget Committee Chairman Tom Price, M.D. (GA-06) issued the following statement today after the Congressional Budget Office (CBO) released its latest Long-Term Budget Outlook showing the national debt climbing to 141 percent of GDP by 2046, with real economic growth remaining at a depressed 2.1 percent on average over the next 30 years, and Medicare and Social Security facing insolvency. “One wonders how anyone can look at this report and not feel compelled to take action. We have no choice. The Congressional Budget Office is sending yet another wake-up call, and policymakers better listen. These debt projections portend a horrible fiscal legacy that is being left to our kids and grandkids with a correspondingly weak economic growth outlook that will mean less opportunity for our nation and its citizens in the years to come. Our future. Your kid's future. Your grandkid's future. We have written about this so many times before that we will just urge you once again to download and print out this 162-page CBO Long-Term Budget Outlook and read it in its entirety. Keep it handy so you can take notes and scribble in the margins as you listen to the talk show hosts and the evening news and see just how far off the mark all of them are when they misspeak or misquote the facts about our somewhat dire fiscal situation. Just don't read it before you go to bed at night or else you will have nightmares. 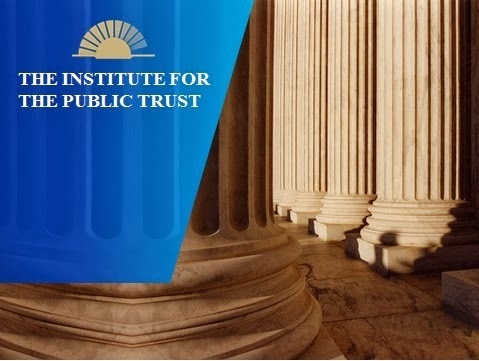 The key to this election is electing a President who will lead the US Congress and Senate into a workable compromise on balancing our budget primarily through limitations on federal spending, reducing federal regulatory burdens on US businesses and passing legislation that basically frees up the creative energetic power of the free market to grow business which will then lead to more jobs and higher employment. It sounds so simple. How can it be so hard to put into practice, then? 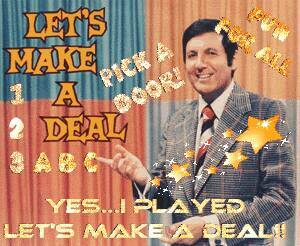 Which brings us to the great Monty Hall, host of the long-running 'Let's Make a Deal!' television show which ran from 1963 to 1976. Despite this being perhaps one of the most raucous elections since those of 'Old Hickory' 'Gen'l Andy' Andrew Jackson's presidential campaigns near the beginning of the Republic (you ought to read about them and see how really nasty American campaigns used to be), we still have some very serious public policy decisions to make as a country and we are electing either Donald Trump or Hillary Clinton to lead us to those conclusions. Who do you think has the best chance of being able to make deals with Congress to fix our national finances? Donald Trump or Hillary Clinton? Sometimes behind Door #3, a contestant would see a bright new shiny red Mustang convertible behind the curtain which would make his/her trade of a Fridgidaire behind Door #1 seem like a great deal. But sometimes behind Door #3 would be a booby prize which meant the contestant essentially traded down for nothing. After decades of seeing and hearing and watching and investigating Hillary Clinton, we seem to know her pretty well inside and out, don't we? 26 years in the national limelight is plenty of time for people to form impressions of people in public life, whether rightly or wrongly. After that long of a time, it is difficult to imagine that the person you see in public is going to be much different for the rest of their lives. Richard Nixon is the first person many people equate Hillary Clinton with when you ask them who she reminds you of in public life. Abraham Lincoln and Dwight Eisenhower are not usually the first two comparisons you hear made. Hillary Clinton is behind Door #1. Like her or hate her, she is a 'known quantity' when it comes to public life because she has made thousands of decisions either by vote in the US Senate or as Secretary of State under President Barack Obama for 4 years. She has a record of supporting so many more government and liberal causes that her 'variance from the norm' based on her past will be relatively small if elected to the White House. Her tack further left to satisfy the Bernie Sanders wing of the Democratic Party on issues such as forgiving $1 trillion in student debt (guess who would pay for that, taxpayers?) virtually assures that she will be boxed into the same ideological corners as far to the left that Tea Party Republicans get boxed in to the right. However, she is still a 'known quantity'. 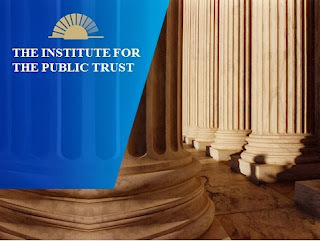 The chances of her reversing course and becoming a staunch advocate of the free market and fiscal sanity such as by curtailing federal spending first and foremost is about 10% perhaps. On the other hand, you have Donald Trump who might be have as wide of a range of variance as any presidential candidate in modern history when it comes to being put in some political philosophical silo. He has no official voting record as an elected official so no one can point to this vote or that vote as 'proof' of what he would do if elected President in about 3 months now. He has no record as a Cabinet official such as Secretary of State, Treasury, Commerce or Defense that anyone can point to either as evidence of his 'good judgement' or 'lack thereof'. Donald Trump is behind Door #3. He might be the 'bright new shiny red Mustang convertible' or, as many of his detractors believe, he might be the 'Unsafe at Any Speed' Corvair, as Ralph Nader coined it and killed it forever. Is this 'Donald Trump' or 'Hillary Clinton'? 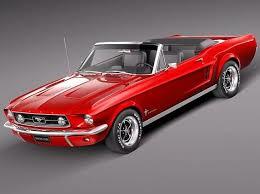 Let's say there is a 50/50 chance he could be either the shiny red Mustang or the Corvair. Are you willing to take that chance on the upside knowing that what you are going to get in Hillary Clinton has very little chance of ever turning out to be like the thrill of riding down the highway in a bright red Mustang convertible with your hair blowing in the wind like Donald Trump's blond hair one day? Presidents rarely have campaigned in the past on one platform or set of basic philosophical political principles and then done a complete 180 degree about-face once elected and done the complete opposite in terms of proposing legislation and signing whatever came back from Congress. FDR campaigned as a tight-fisted fiscal conservative in 1932, for example. Once elected, however, he went completely over to expanding the welfare state, first as a means to get people fed during the Great Depression, but then as a matter of leadership and getting re-elected despite repeated challenges and over-rulings from Chief Justice Louis Brandeis on the US Supreme Court that FDR had vastly overstepped his boundaries as Chief Executive of the nation. Presidents have to be malleable to deal with any contingency that may arrive under their leadership. It would be very difficult to imagine a pacifist, anti-war President who promised to stay out of war, for example, not declare war against Japan the day after Pearl Harbor on December 8, 1941. Most of the time, they change once in office. Slightly. Hardly ever do US Presidents completely lie about what they will do once elected because if they do, they get beat in the next election usually. The question you have to decide is this: Which person do you think can lead us out of this morass of fiscal and economic problems we face today....based on your reading of the problems we face in the Long-Term Budget Outlook we have just given you as an assignment to read? Just make sure you read that as soon as you can. You don't want to make the wrong decision for the future of this country, do you?